It was a store that had a magical excitement back in the day – for both adults and children. 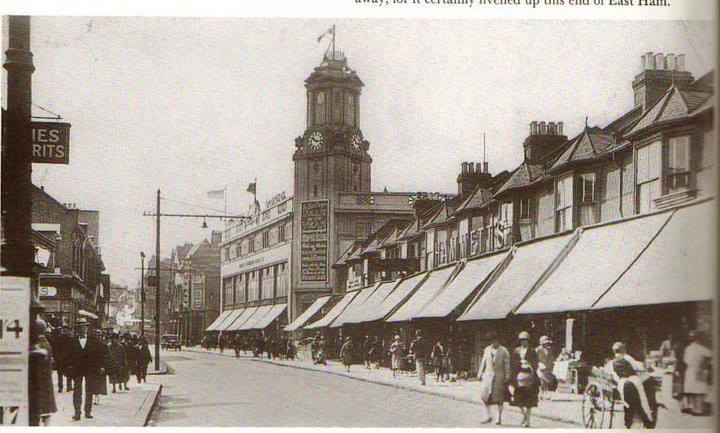 It was seen by generations as our Hamleys, Selfridges or even Harrods! 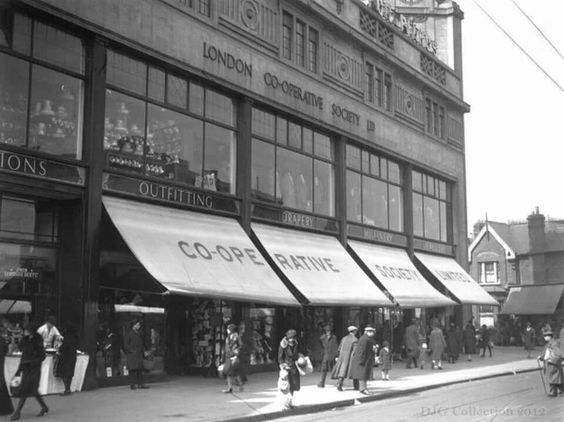 The London Co-operative Society (LCS), who ran the store, was formed in 1920 by the amalgamation of the Stratford Co-operative Society and the Edmonton Co-operative Society, two of the largest societies in London. 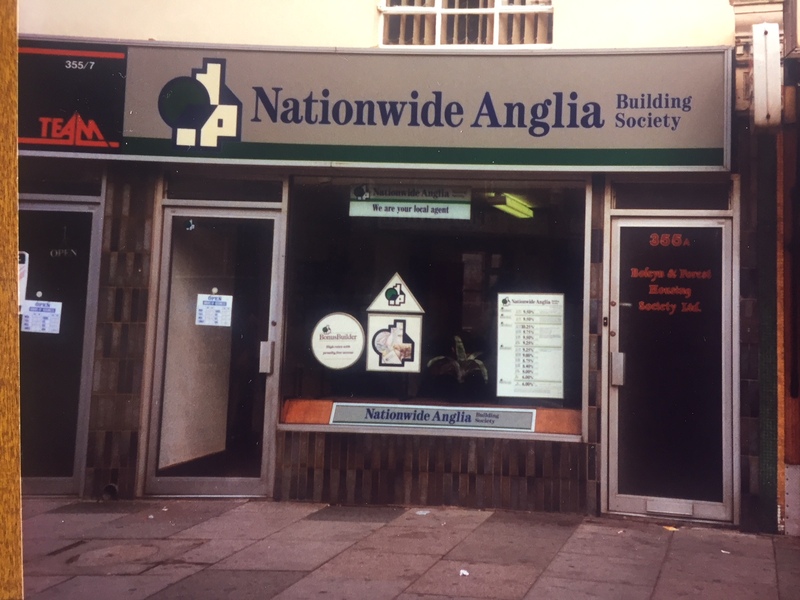 The LCS played a large part in the national co-operative movement and was also a shareholding member of the Co-operative Wholesale Society, generally known as the CWS, and became a federal wholesaling organisation for co-operative societies in England and Wales. By 1952, the LCS and its associated co-operative organisations, the major being the London Co-operative Chemists Limited, had over 550 establishments of sales and services, from large department stores to small grocery shops. 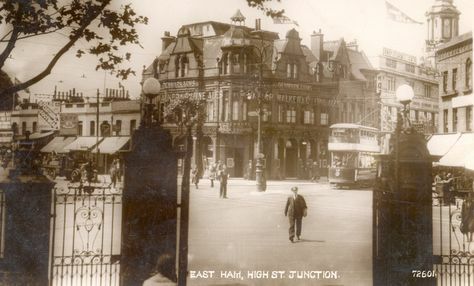 These consisted of grocers, butchers, fruit and veg and flower sellers, coal depots, furniture sellers, drapers, tailors, shoe shops, chemists, laundries, estate agencies, insurance and funeral services and even guesthouses. It opened in 1928 and lasted until 1989, when finally it was seen as having had its day. The final curtain came as many other Co-ops were being closed countrywide. 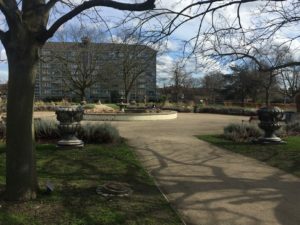 There’s almost nothing left of it now on site, save for the car-park behind the Denmark – though plans have been lodged to create something new there. More of that later. “There were 12 branches of estate agents and it was a huge brand,” said Dave. 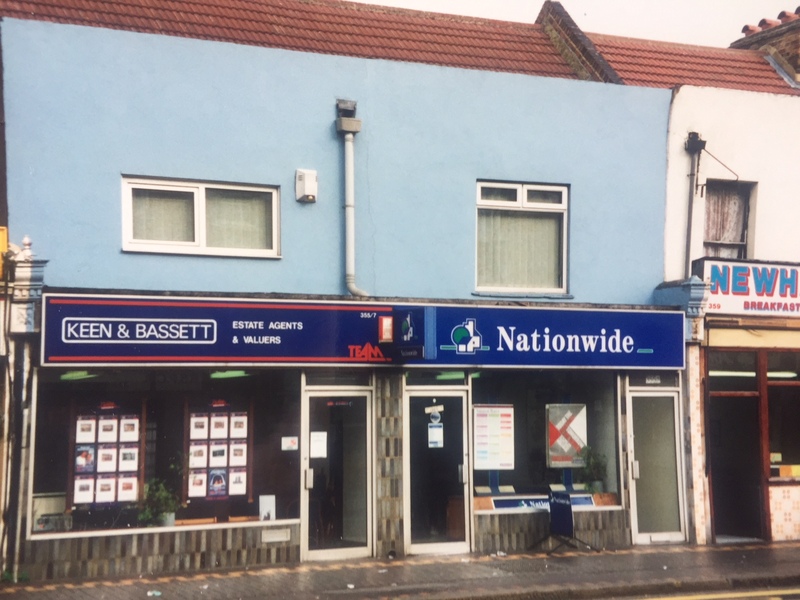 Dave eventually took over the place in a business called Keen & Bassett estate agents and then later it also became an agency for the Nationwide Building Society , which was formed when the Co-op estate agents decided to re-brand with a new name. 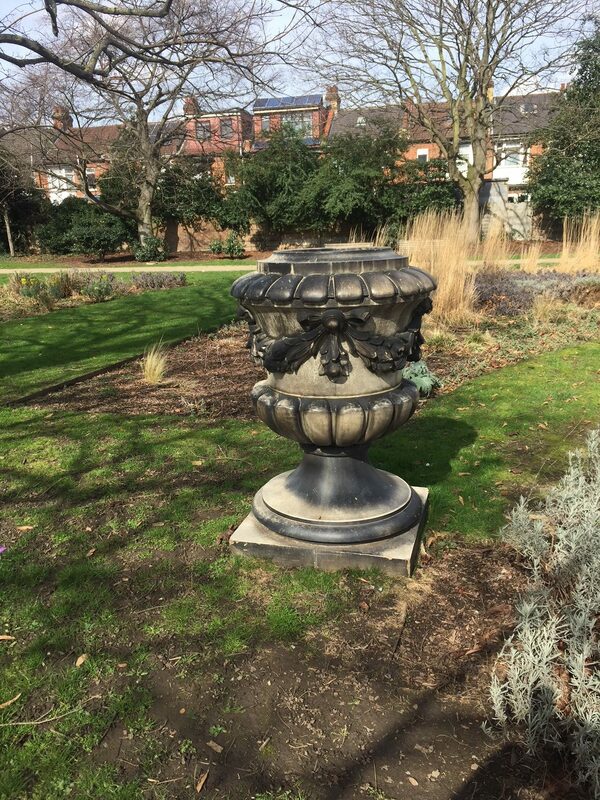 Dave had an old Co-op safe cemented into the foundations – which is still there today! Dave’s wife Pat worked with him for many years- and they are still well known in East Ham – and still have reunion lunches for the customers many years after the business closed, a rare thing indeed. An opening brochure produced for the Co-op featured a picture of 200 staff on the roof garden. The store sold everything from kitchens to carpets, men, women and childrens’ clothing, hardware, and kitchen ware, records, electrician goods and much more. Basically all you in a John Lewis now – but more! 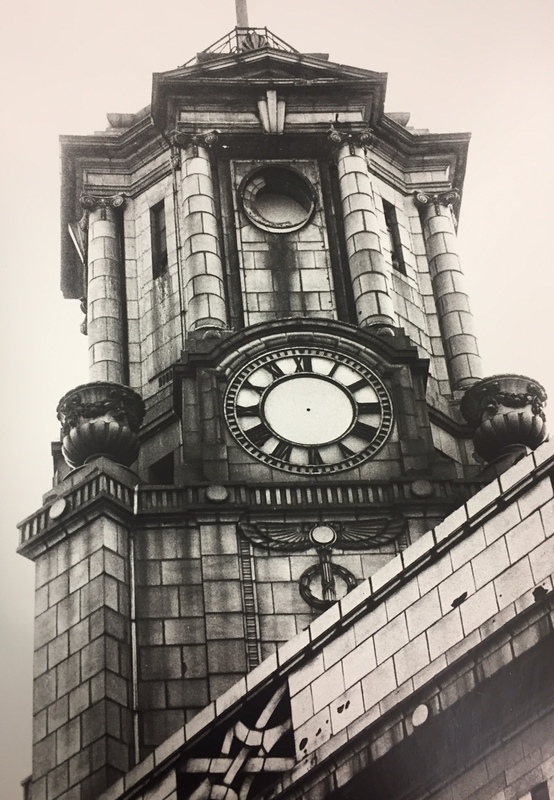 Sad sight and time’s up…the store clocktower nearly at the end of its life. I remember as a child going to see Santa was being scared witless! 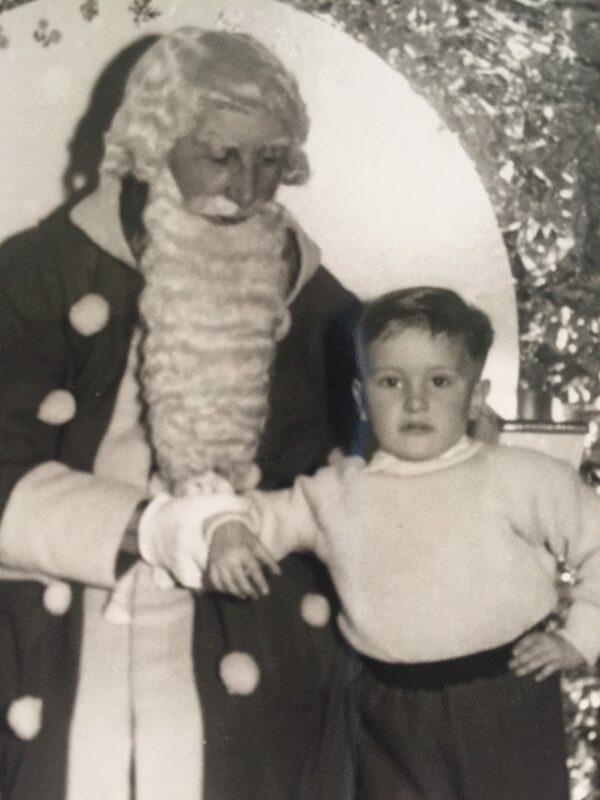 There may still be a souvenir picture somewhere – we all got our picture taken with Father Christmas. 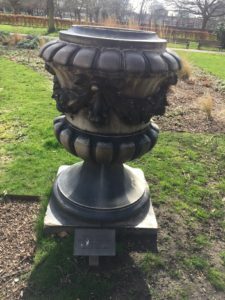 The building had to be demolished, but amazingly some of its unusual relics live on – in Central Park, East Ham. Four urns have survived. They were originally placed near the top of the store’s tower and it is amazing they were preserved in the demolition in the 1990s. The material looks like terracotta. 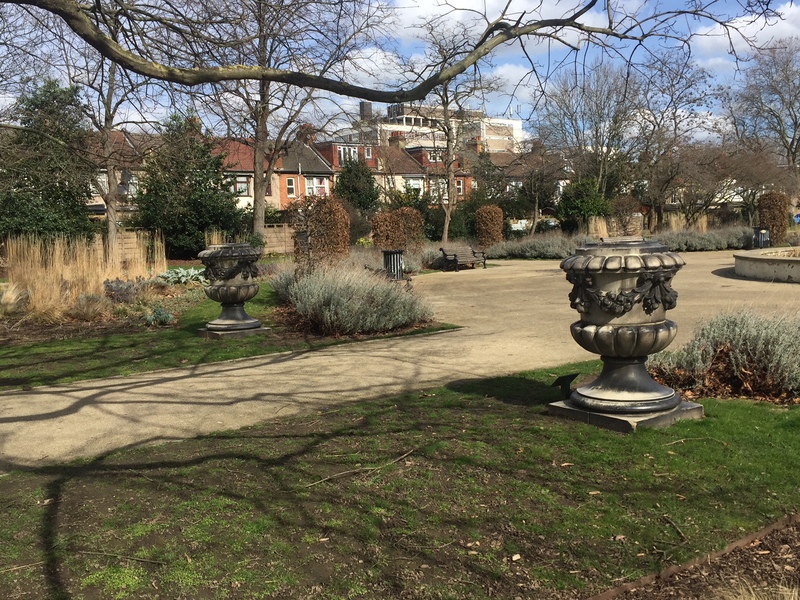 There are even two plaques in the specialist garden area of the park telling their story. 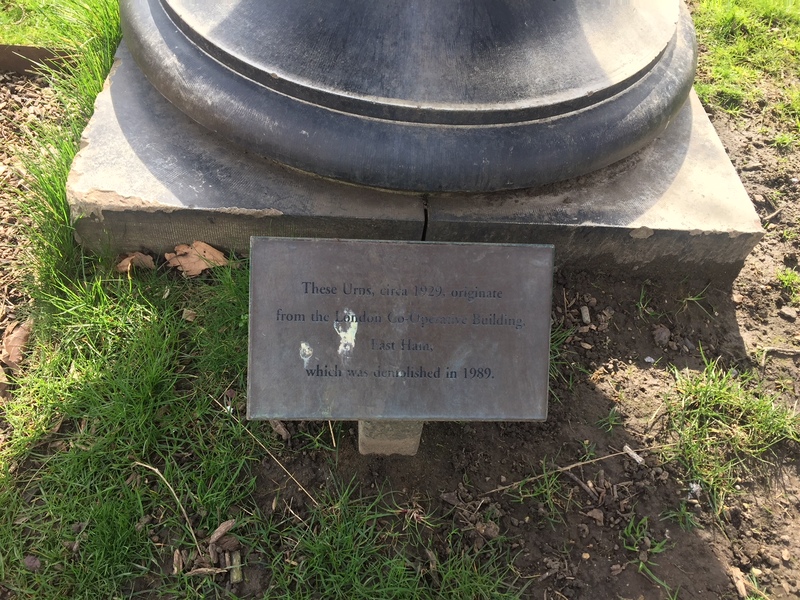 The urns were constructed a year after the store opened. Looking at them while taking their pictures I wondered how on earth they ever got to the top of the roof – and how they got them down, given the size and weight. 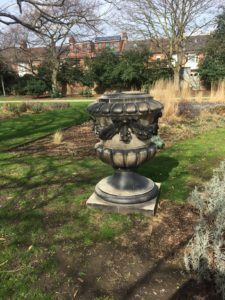 They are a massive feature of the park’s secluded garden area. In its heyday the Co-op It it had an amazing roof garden with a pond . Those who ran the store also proved they were adaptable and used East Ham Manor House and Brunel Manor for office and warehousing a short distance away. The magic could be seen as you witnessed money being sent to the cash office through a vacuum tube across the store ceiling. The Co-op in Stratford and Boardman’s also used a system like this but the East Ham Co-op’s was magical. People can still remember their Co-Op dividend number to these days and carefuly collected the divided stamps to be used to get goods at Christmas time in particular. My auntie and nan could remember their ‘divi’ number for years after it closed. Even now it sticks in the memory. The Co-op was booming in the 50s, 60s, 70s and early 80s, a massive feature of local life. But as the end of the 1980s loomed, the store was looking dated and the Co-op decided to cut its losses and close. 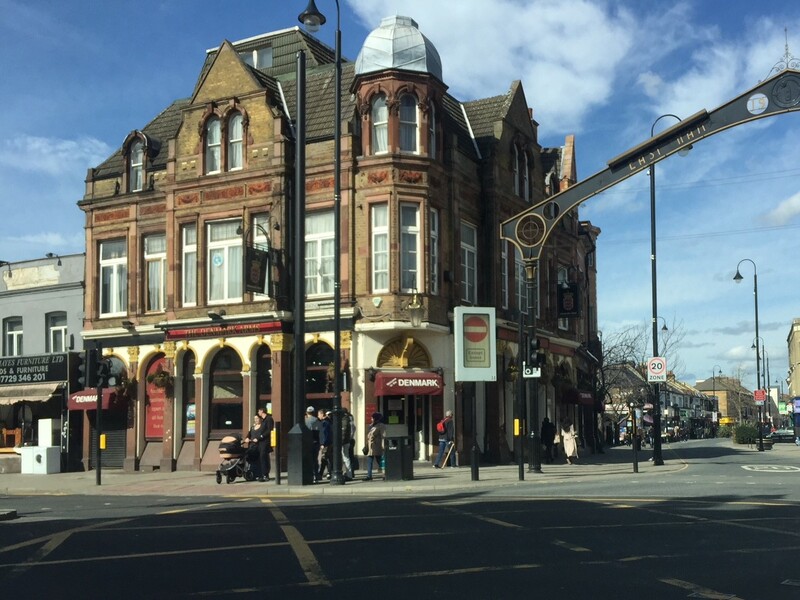 Plans were lodged to build flats, shops and stores and a gym on the site but were rejected by Newham Council, who took over the premises. To prevent graffiti and vandalism a mural was commissioned – to cover the boards that surrounded the building. 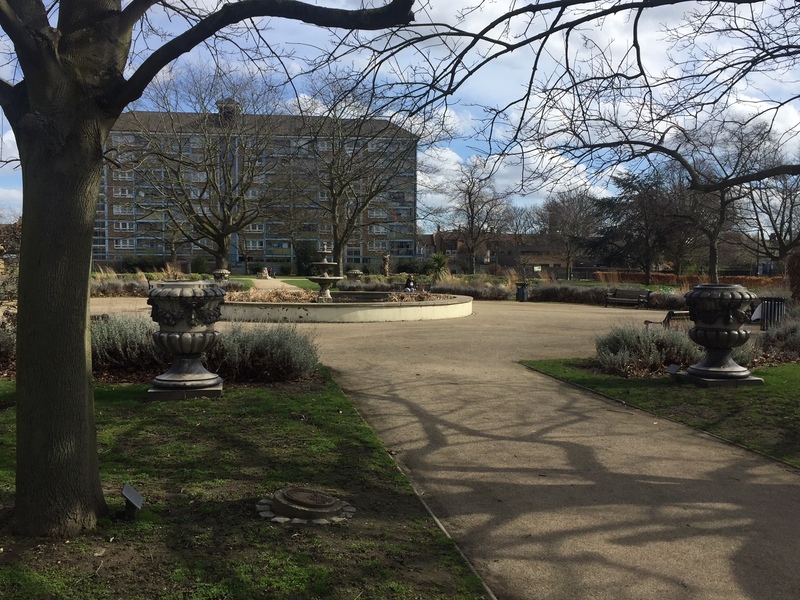 It featured landmarks from all over Newham and was commissioned by Newham Council, costing in the region of £90,000. Then came the error that sealed its fate. The White Post river ran underneath the store – it reaches under shops, some homes and goes in Central Park, and still floods parts of the park to this day.. The building foundations were damaged and it was decided to demolish it. Newham Council then decided to create the car park which was known to locals as the Co-op car park. 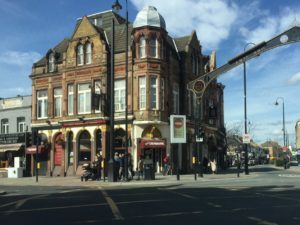 Fast forward to 2016 and the council itself lodged a plan, using its own property development company Red Door to build a project very similar to what they vetoed all those years ago! The council approved its own application in 2017, but last year the Mayor of London asked for amendments to the plan before it went ahead. On March 13 last year the car park was closed and fenced off -and Red Door told me the project is now “back on track” and going ahead. It will take two years to complete. 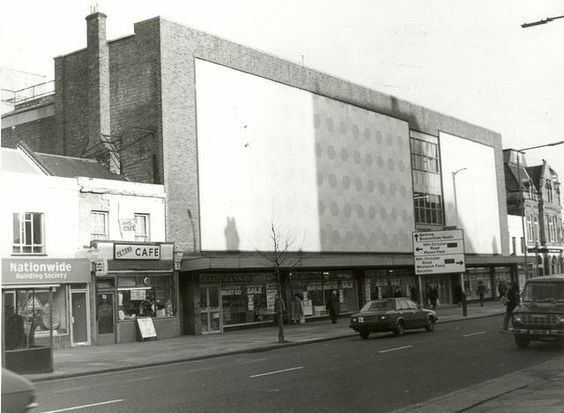 The Co-op was THE big store for East Ham for many many years. 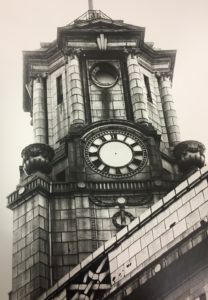 A sadder picture taken towards the end of its life is of the broken clock in the tower taken shortly before the doors closed for the final time. Now the site on which it once stood rise from the ashes to form a very new kind of development for the borough’s future.